There is something quite magical about Schoone Oordt Country House. She has been passionately, painstakingly and lovingly restored over many years by Richard and Alison Walker. As a result, she has been instilled with charm and grace and she adores welcoming guests. Her extensive grounds house eight magnificently crafted sumptuous suites, a quaint, private family cottage and a romantic and secluded honeymoon hideaway set in lush, abundant gardens and sheltered by aged oak trees. Each luxurious room has conceded to every modern convenience whilst unique, restored (mostly by Richard) antiques retain the Victorian feel of the Manor House and a bygone era. The Manor House, originally built in 1853, boasts the most exquisite light and airy conservatory, which Richard designed and built in true English style, a cosy fire-lit bar and lounge, an intimate dining room and a true country kitchen. The warmth of the original wooden floors, ceilings and doors coupled with many quirky antique pieces creates a wonderful welcoming ambience and guests are encouraged to ‘kuier’ here. The grounds themselves have been especially designed to host small intimate weddings for 20 to 60 guests. Choose from the intimate and private venue with views of the mountains, the light and airy conservatory with views of the gardens or the cosy, formal dining room in the grand old house. 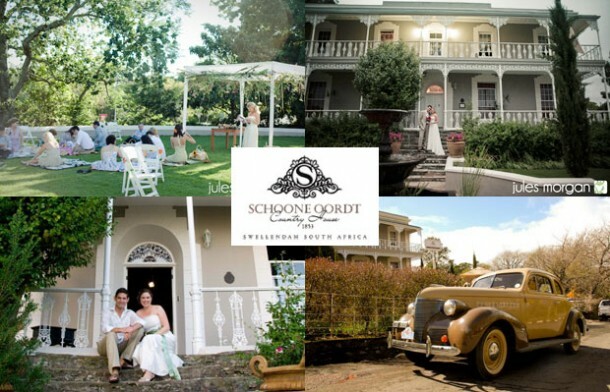 Schoone Oordt is truly an extraordinary wedding venue with exceptional taste. Schoone Oordt is passionate about food, about wine, about people and about the environment. 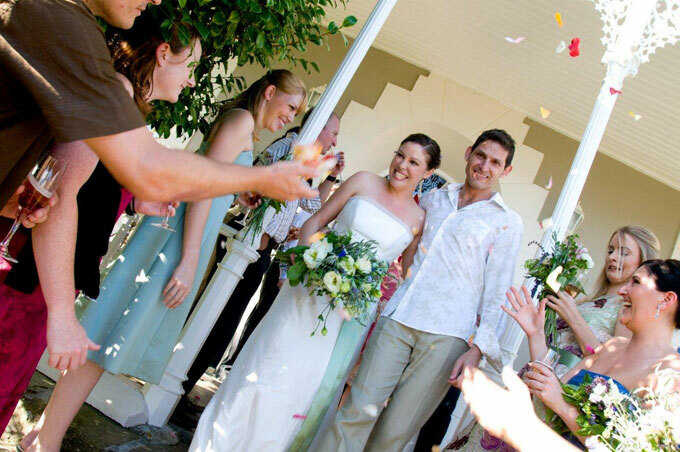 For more information about getting married at Schoone Oordt visit Schoone Oordt Country House for more details or to send an enquiry.